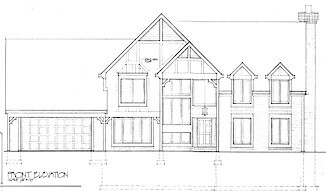 Property Handbook Section 2: Muirfield Design Control Committee - Muirfield Association, Inc. The Muirfield Design Control Committee (MDCC) was established through the terms of the Deed, Article 6. Its members are appointed by the Board of Directors. An architect, a landscape architect and the Association’s general manager comprise the MDCC. At the discretion of the Board of Directors, Muirfield owner(s) may be appointed to the committee. Each position is reviewed annually. To maintain consistency, experience, and architectural harmony within Muirfield, all MDCC members appointed by the Board of Directors must have some background in real estate such as brokerage, construction, design, landscaping, financing, engineering or architecture. They must also be familiar with the Association documents including the deed, design standards and property handbook. The MDCC reviews plans for every proposed new home, exterior remodeling, additions, alterations and landscaping to Muirfield properties. Approval from the MDCC is a requirement before any work begins. The Committee meets bi-monthly to review applications. These reviews assure property owners that the provisions of the deed and design standards are carefully evaluated and enforced. Although the MDCC is appointed by the Muirfield Board of Directors, they are a separate entity. The MDCC has final jurisdiction in approving or disapproving any design review request. The only appeal process is through the MDCC. The MDCC’s mission is to maintain and preserve specific architectural characteristics in design and construction while understanding the needs of owners and their projects. The goals are to assist owners in building and remodeling homes that are consistent with the original concept, enhance existing homes and neighborhoods, and provide guidance for landscaping projects. The members of the Design Control Committee are committed to the success of each project. To assist property owners with this requirement, many of the design review guidelines and applications can be found in Section 5 of this booklet or in the Design Review section of our website. These guidelines and applications provide the basic information needed for review. They also serve as a checklist to insure that all design elements have been considered in the development of the home or property enhancements. As provided in the deed restrictions, the Design Control Committee reserves the right to disapprove construction or improvements on properties if the size, scale, character or architectural style is not compatible with the home, the neighborhood or with the design standards.